Coming up in 2015: Jesus Christ Superstar, The Glenn Miller Story, Dreamboats and Miniskirts, The Shawshank Redemption (tour), Oleanna, The Farnsworth Invention, Carrie, rep season at Theatre Royal Windsor. Kenwright is unique among mainstream theatre producers in many ways: he doesn’t use outside investment, he directs some of his own shows and he owns a football club. He’s also one of the industry’s biggest employers of actors, regularly boasting a whole stable of productions. West End outings in 2014 included Twelve Angry Men, Let the Right One In and Evita. Out on the road, he is often the main provider of theatre product and has – over the last few years – become Andrew Lloyd Webber’s go-to producing partner, especially for tours of his back catalogue. 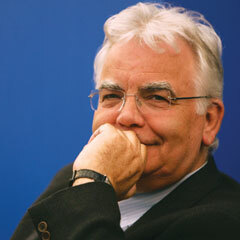 In many ways an old-school impresario, Kenwright has also been responsible for bringing through younger producers. In addition to his producing activity, Kenwright also owns and manages the Theatre Royal Windsor, where he will be re-introducing a season of weekly rep from later this year. After 2013’s annus horribilis (involving the partial collapse of the ceiling at the Apollo Theatre) 2014 was blessedly uneventful by comparison for Nimax Theatres. London’s fourth largest venue operator, the group has pioneered the practice of double-programming its West End venues with children’s shows playing matinees under regular productions in the evenings. As the year drew to an end, Nimax also received the very welcome news that it will not be prosecuted by Westminster Council over the Apollo incident, which should allow the group to fully concentrate on producing plays and programming its six theatres. Burns, the chief executive of the group, is also a major commercial producer, especially of plays. Although things have quietened down a little on that front since her holdings as a theatre operator have increased, this year looks promising with a revival of The Importance of Being Earnest (co-produced with Kim Poster), starring David Suchet as Lady Bracknell, due to tour and then move into the West End. Meanwhile, Burns is also a major figure in the comedy sector, where she is the creator of the Foster’s Edinburgh Comedy Awards. Under Goold’s stewardship, the Almeida Theatre in north London was on a roll in 2014. There is a real buzz around the place, thanks to shows ranging from the stage musical version of Amercian Psycho (ambitious if flawed) to King Charles III by Mike Barlett (one of the year’s best new plays), and Mr Burns (the Marmite show of 2014) to a radical reimagining of The Merchant of Venice. Away from his day job, Goold has also been busy directing Made in Dagenham, one of the year’s biggest West End musical openings. Time will tell if it proves to be a stayer – reviews were warm, if not ecstatic. Plenty to look forward to this year, including Bartlett’s latest, which promises to “radically reconfigure the Almeida’s auditorium”. Prior to taking over from Michael Attenborough, Goold had been linked to a number of artistic director posts, but it appears that in the Almeida, he has found a perfect match. There has been much to enjoy at the Donmar Warehouse during 2014. It’s hard to pin down a distinctive flavour to the Rourke/Pakenham regime; perhaps the sheer variety of work is its defining feature. Last year’s highlights ranged from Phyllida Lloyd’s all-female version of Henry IV (following her all-female Julius Caesar) to James Graham’s ambitious data-driven Privacy and Rourke’s own revival of Cy Coleman musical City of Angels. Its superb 2013 production of The Weir tranferred into the commercial West End, where it will be followed this year by My Night with Reg. Meanwhile, 2015’s season also offers some potential gems – especially The Vote, Graham’s follow-up to Privacy, which will be staged on the night of the 2015 general election and live-streamed on Channel 4. Rourke has increasingly become one of UK theatre’s most eloquent and visible spokeswomen. Pantomime giant Qdos Entertainment is the leading producer of British theatre’s most popular genre, with more than 20 shows dotted around the UK this Christmas. It’s a major undertaking and makes the company one of the UK’s most prolific theatre producers and major employers. Panto may not be trendy, but it is profitable, like another area of the industry in which Qdos is a key player: cruise entertainment, where it creates shows for Cunard and Celebrity. Through subsidiary HQ Theatres, Qdos is also the UK’s second largest regional theatre operator, managing 10 venues. Thomas is founder and chairman of the group. Last year’s regional theatre of the year in The Stage Awards, Sheffield Theatres has continued to perform superbly across its three spaces. It is one of a handful of theatres outside London that has managed to thrive despite heavy cuts to funding. What is particularly remarkable about artistic director Evans and chief executive Bates’ success is that they have done it by balancing crowd-pleasers (like Anything Goes, for example) with more seemingly difficult work (like Krapp’s Last Tape). That a regional theatre feels confident enough to stage a Sarah Kane complete works season in the current climate is truly remarkable. National Theatre Live has been a game changer for the theatre industry. Sabel is head of broadcast and digital at the NT and has been the key figure in driving forward the National’s project to screen its shows live into cinemas around the world. As the initiative has developed, it has opened up to include non-National Theatre productions, working with other subsidised theatres, but also commercial producers. With the forthcoming film version of musical London Road, the National will also act as a co-producer and distributor, as it further expands into the world of broadcast. This is undoubtedly good news for the National, although there are grumblings from some small-scale producers outside London that theatres are programming NT Live in lieu of actual live shows. Is Lloyd the busiest director in UK theatre? We think so. Not satisfied with his eponymous company’s season of work at the Trafalgar Studios (featuring Martin Freeman in Richard III and The Ruling Class with James McAvoy, opening later this month) Lloyd has also found time to transfer his production of Urinetown into the West End, where it joins The Commitments. He also helmed a superb, starry revival of Stephen Sondheim’s Assassins at the Menier Chocolate Factory and it would be no surprise if it followed his other hits into town. Sadly, he’s backed out of a proposed project to bring Back to the Future to the stage. Lloyd is the go-to director of the moment, but will he stick with theatre or be lured away to TV and film? A thrilling year for the team behind the Liverpool Everyman and Playhouse, as the Everyman reopened to huge fanfare following its £28 million redevelopment. The building has been a huge success, but it hasn’t overshadowed the work on and off stage. Onstage work included several excellent co-productions (such as Dead Dog in a Suitcase with Kneehigh), while it also boasts some of the best outreach and education work of any UK theatre. Its success was recognised with a double win at the UK Theatre awards, for both achievement in marketing and promotion of diversity. London’s most exciting receiving house. While the Barbican doesn’t produce a great deal itself, its programme – for which Racklin is responsible – is one of the capital’s most exciting and diverse. It is also one of the few bastions of international theatre on the UK scene and has long been responsible for introducing some of the world’s greatest theatre artists to London audiences. Highlights of 2014 included an international Ibsen season, plus the return of the Royal Shakespeare Company, which brought both Richard II and Henry IV to the City of London venue. This year sees Benedict Cumberbatch play Hamlet in one of 2015’s most anticipated productions, plus Belgian director Ivo van Hove’s take on Antigone with Juliette Binoche.